Social Media: What Is It and What Is In It? social media What is social media? Social Media is one of the most buzzed terms used in today’s dynamic and challenging environment. The term is coined few years back and has truly changed the way businesses use to work. It has changed the traditional marketing and gave novel and cost-effective methods of knowing the expectations of existing customers and reaching the new customers. “Web- and mobile-based technologies which are used to turn communication into interactive dialogue among organizations, communities, and individuals. When the technologies are in place, social media is ubiquitously accessible, and enabled by scalable communication techniques”. Briefly speaking, any website that presents information and allows interaction among visitors comes under the category of social media. Social media tends to bridge the gap between the target market and the media by encouraging user participation and feedback. It allows users to comment freely and vote for their preferred products. It provides businesses insight about what exactly their customers are looking for. The most appealing aspect of social media is interactivity. It allows interaction among users and with businesses. With social media presence, people with common interests can form communities and promote their interests by generating and sharing valuable content. Social Media is a great connector that links information and resources between different sites. By social bookmarking or tagging, it directs people to their required information. All these social media websites allows easy and quick information sharing (photos/videos/content) among internet users. It holds promising benefits for users as well as for businesses. It educates users about their rights. How these statistics impact businesses can be estimated by the fact that about 93% of the social media users believe that companies should have their social media presence (Cone, Business in social media study, September 2008). The important point here is 93% of the social media users do not need irrelevant social media presence, but relevant and informative content that can positively impact their lives. 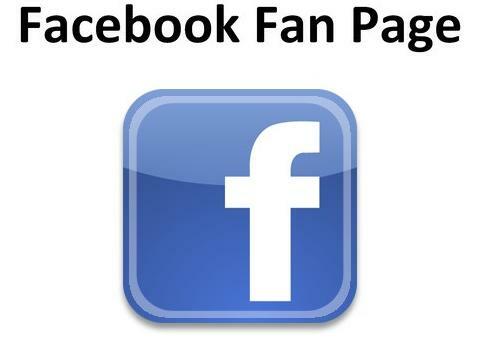 Facebook Fan Page: Why Should Your Business Has One?